This unit is AWESOME! This is my 2nd time renting this unit and I will definitely rent again. I love the view, the interior is clean and well decorated. The kitchen had almost everything I needed. Perfect place to get away for a few days. You can’t go wrong with this unit...I would live there year round if I could. Had a great time. The island and The Inn were both wonderful and so peaceful. The condo was very nice and had everything you need or want. The food at every restaurant we tried on the island was great too. Will definitely be back. Condo was great it has all you need beside your food. Only complaint was the internet wasn’t working. We've stayed at The Inn many times. Great accommodation. Beautiful beach. Close to restaurants. Rental exceeded our expectations. Everything was so nice. Well stocked, comfortable. It was just what we needed. 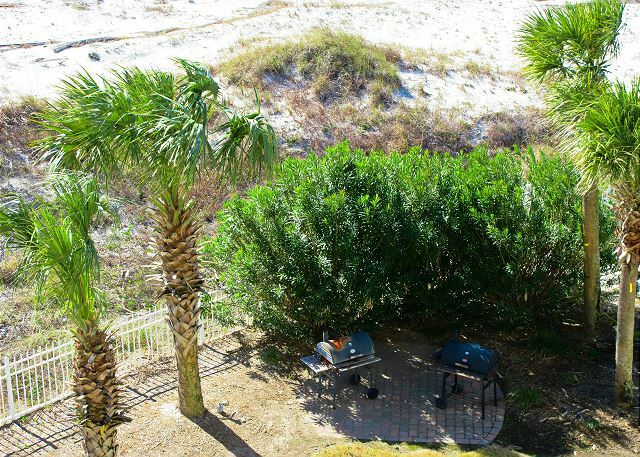 Room is in great location, great views, great staff, fun fishing, easy beach access, open beach, friendly regulars, clean common areas (Thanks Tim! ), easy/gated parking, but regarding the room? It's definitely old with some very worn stuff inside and out. The TV has many bad channels (difficult to watch the Olympics). Oh and watch out, the mosquitos are ferocious (!!) around the water hose/shower. But I gave it 4 stars due to the first half of our review/experience. This was my third time to stay at the Inn and the first in a two bedroom condo. Like the location and sunsets from the balcony.The unit did not have enough glasses and mugs. Both the ktchen and master bath faucets leaked, and the big screen TV had a snowy, lined screen on the first 3-4 channels. Unable to watch the Macy parade on NBC. 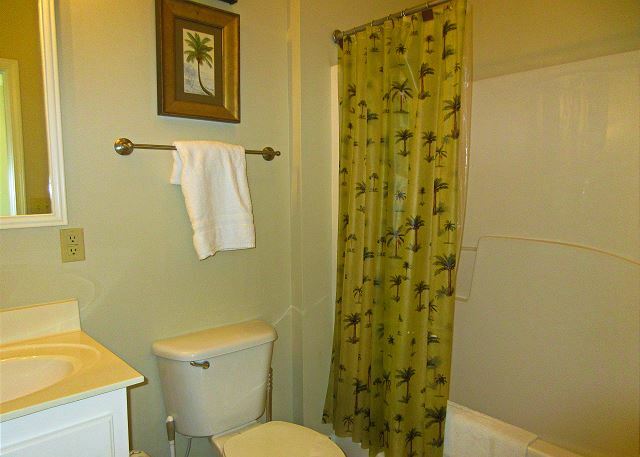 Master bath did not have enough toilet paper. I would recommend the property based on previous stays, not on this unit. 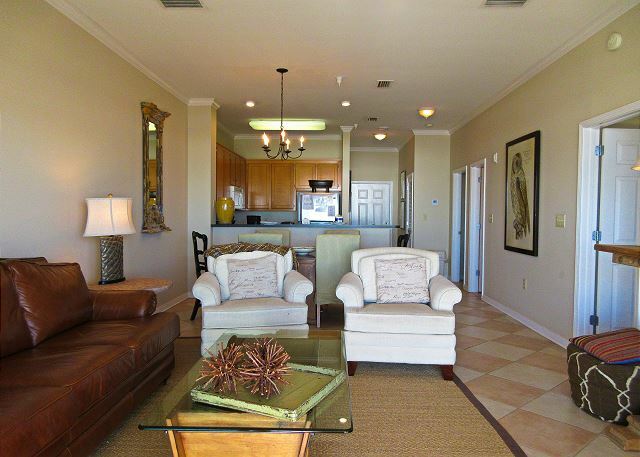 We loved everything about staying in this condo! The decor was beautiful. The beds we nice and comfy. It was the perfect place to relax for our Fall Break. We will definitley stay here again! Fabulous!!! We loved it! Will return next year! It was a beautiful setting next to the white beaches and azure blue water! The room and view were perfect, however, the double beds need new mattresses really bad, unless you like super super soft! Would recommend getting new ones! The only bummer about unit 411 was that the tall balcony chairs weren't there anymore. And that it rained 2out of 4days. The latter is entirely out of the staff's control! All else was as advertised, very clean, and well kept place! Yes, we'll go again! We had a fantastic time. Everything went smoothly and made out trip stress free. It was great! I loved staying here. My family will be back. We stayed a week at The Inn , #411 , and had an awesome time . The condo was very nice , located right on the beach , clean and very well maintained and was just as described and had a wonderful view . Great , friendly customer service . Would highly recommend The Inn and Dauphin Island to anyone . Enjoyed our stay very much and will definitely be going back . Lots of things to do and see and several very good local restaurants . Very clean and well furnished. Lisa was excellent to work with and I will be back! My husband and I celebrated my birthday on Dauphin Island May 18-22. We stayed at The Inn at Dauphin Island in unit 411.Excellant view from deck. Loved the tall chairs so I could see over the deck rail. Great pools, short walk to beach, quiet complex. Super local restaurants cooking fresh fish daily. We had an absolutely great time. The condo was everything that the pictures showed. We would stay there again! We had a very nice stay. It was a special trip for us (35th wedding anniversary) and everything went very smoothly. We really enjoyed the bottle of Batefoot Bubbly y'all provided us. Everything I expected and more...after hours check-in was easy peasy, the unit was exactly as described and pictured. The view from the balcony was perfect for the beautiful sunrises and sunsets. My kids were very excited about the heated pool while this momma was excited about relaxing in the huge garden tub. Perfect get-a-way for our family....I could easily get used to and be spoiled by the peacefulness of the beach. 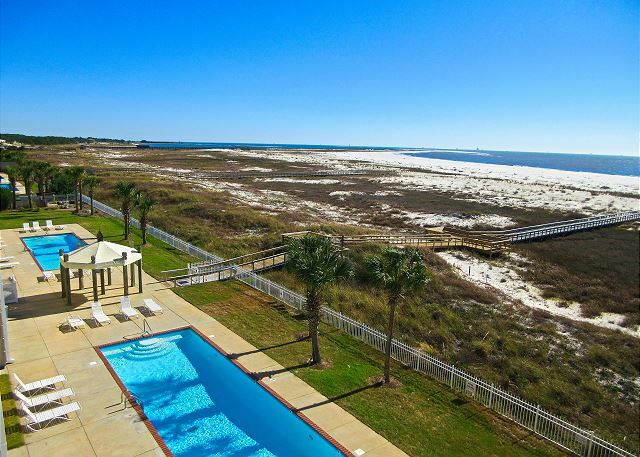 A Perfect Place to stay at Dauphin Island! We only had a few days to enjoy Dauphin Island. The Inn was the perfect place to stay. 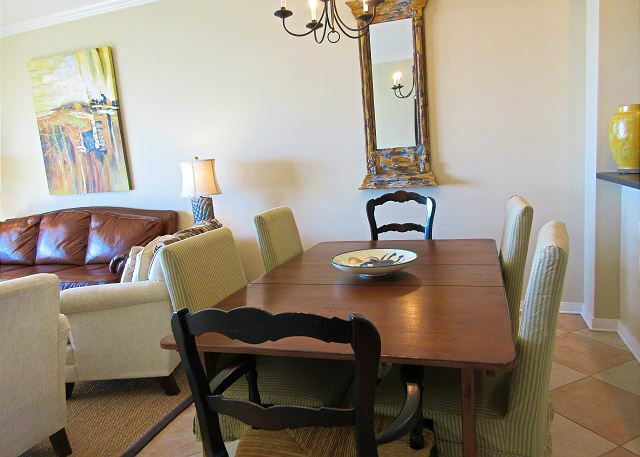 It was a good location, our condo was very clean, comfortable, and quiet. I would highly recommend "The Inn" whether it was for a few days or for a week long trip to Dauphin Island. Also, having 2 pools was really nice. And the beach was a few minutes away and an easy walk. It was a wonderful place to stay and I can't wait to go back there next summer. 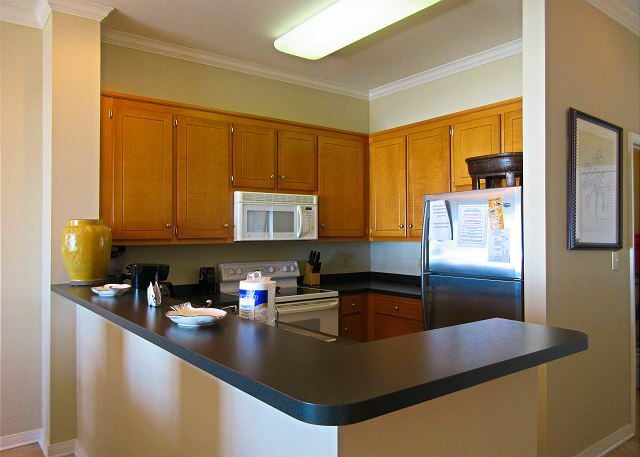 The staff was great to work with and the condo was clean and well maintained. We stayed on the beach most of the time swimming playing and fishing in the surf. The only problem we had was we had to leave. We will definitely be back. Beautiful sand, wTer, and view, loved the island, and friendly locals, great trip. Our first trip to Dauphin Island and this was the place to stay. The condo was beautiful and we loved the views from the 4th floor. 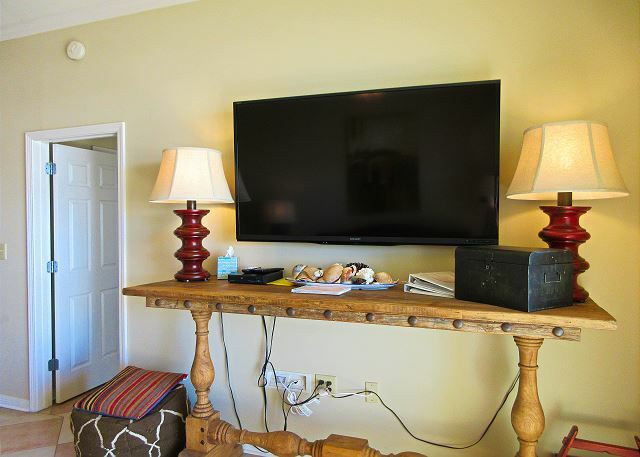 Awesome TV in living room, furniture comfortable (could use new mattresses in the second bedroom, they are worn and creak loudly), dishes and cookware were exactly what we needed with measuring cups and all. We were concerned from pictures online about the walk to the beach but it was not bad at all! Nice boardwalk with lights at night and such a quiet beach with room to play and just hang out. Loved the small town feel and family friendly beaches, explored the estuarium and thoroughly enjoyed the Fort. Ate fresh seafood from Skinners and enjoyed the cinnamon rolls from the Lighthouse Bakery. Check-in and out were easy and staff was very helpful. Perfect vacation with amazing accommodations. We would definitely recommend 411! We loved the location. With the deck facing directly south and looking out over the Gulf, it was sheltered so we could sit out in the afternoon sun even when the wind was blowing. 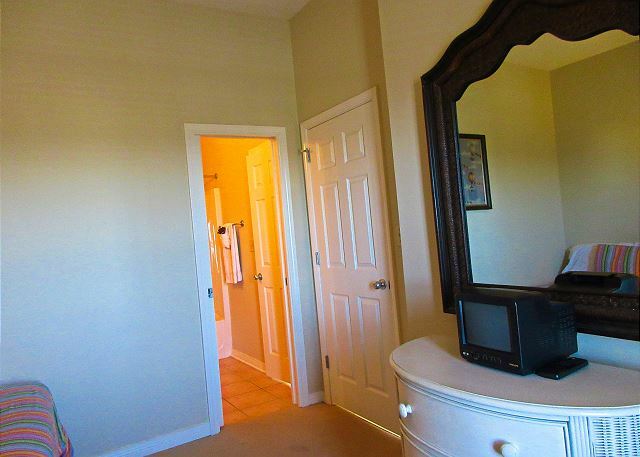 Only thing we did not like was that this unit did NOT have a dresser in the master bedroom for storing clothes. Staying here for 28 days we had no drawers for storing clothing. Loved the gigantic TV in the living room. Only problem was the lighting over the table was poor making it difficult to read or work on that surface. Staff addressed all our problems quickly since the furnace did not work one day and they had a repairman there within 2 hours of being notified. We had a wonderful time on this island! Friendly people and a calm relaxing atmosphere was just what we needed!! Our children enjoyed playing in the water and riding bikes all over on the island. The condo was clean and nice for the price. It could use updated cooking pots and pans, but we were able to make do. Some of the furniture was showing lots of wear. I could not have picked a better place for this year's vacation. Everything was absolutely perfect for us. I needed someplace where I could sit and look out on the Gulf & listen to the waves and worry about absolutely nothing. This was the place. The location was exactly what I needed. My family and I enjoyed sitting on the balcony and watching the waves roll in while keeping an eye out for the dolphins which never failed to appear. 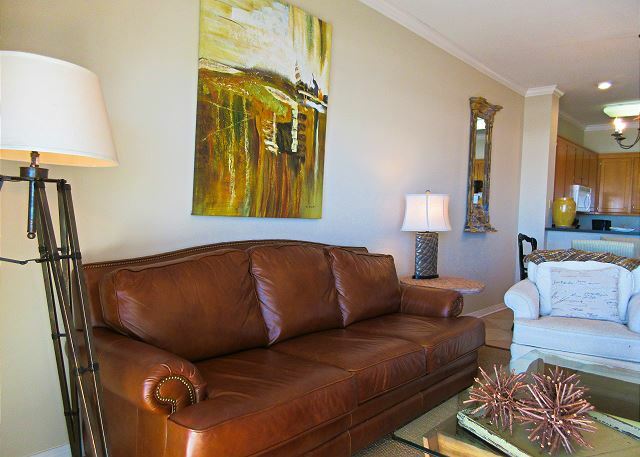 The condo unit itself was beautifully decorated. Everything was in perfect working order and I cannot say enough about the great staff that works there. The weather cooperated with only one rainy day which coincided with our ferry trip over to Fort Morgan and Gulf Shores. Since we were going to eat out there and enjoy a movie the rain was no problem. The only glitch in the whole week was the fire alarm system was worked on one day and it went off several times but we just went out to the pool or down to the beach. So it really wasn't a problem for us. I hope to use this same condo again in the future. Our family loves Dauphin Island and our trip this year only made us appreciate it more. Condo was great, very clean and well equipped. Wonderful view of the beach from the balcony. The only complaint is the two full beds seem to be pretty old and worn out but definitely wasn't a big deal. Overall we had an fantastic experience and would definitely stay again! Relaxing time at the Inn at Dauphin Island. If you like to relax at the beach and not have to deal with traffic and loud noises this is the place to be. A very cozy place. A variety of good restaurants and activities for the whole family. You can really enjoy nature as it was meant to be. Lots of things to do, rain or shine. Nice for families or honeymoons. We had a great stay. Hope to stay again sometime. We had a wonderful time in Dauphin Island. The condo was great! From our balcony we saw a little fox running through the dunes each morning, dolphins playing and a variety of birds. A repeat trip, for sure! The location & view were great. Unit 411, however, was somewhat run down and not as clean as it could have been. The refrigerator didn't seal properly & the grill didn't work until repaired. DVD player had problems as well. We had a great experience on this trip. The room was great, the staff was great and the island was excellent. Absolutely no complaints and will definitely return! Room and facility was very nice. Staff accommodating. We loved the island! Slow, relaxing and no crowds. Our room was great and the beds were beyond comfortable. It does need some updates but for the amount of time we were in the room it was fine. The office staff was great! Already planning pur next trip! My wife and I were looking for a nice place for some "down time" and simply rest and relax for a few days. 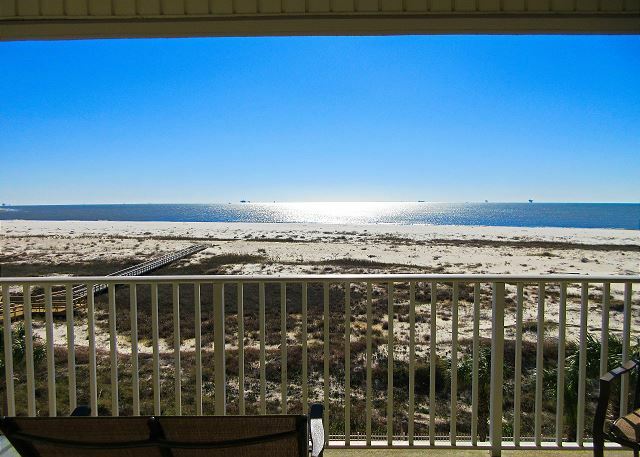 Our stay at the Inn on Dauphin Island certainly fit the requirement. 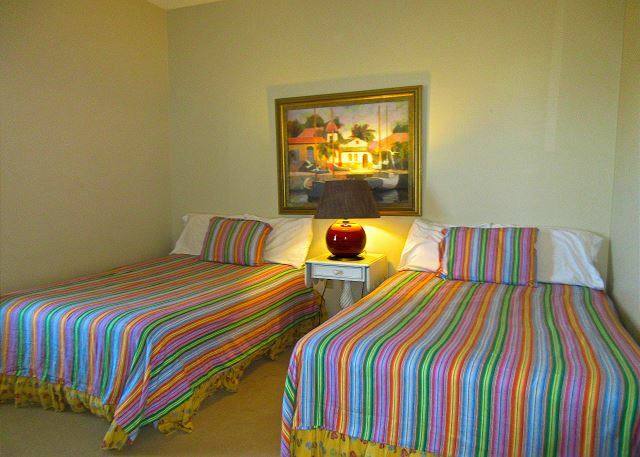 Nice views, very clean accommodations and plenty of room for the two of us. We will be back!! This place was AWESOME. We really enjoyed our stay. Everyone at the desk were super nice and very friendly. 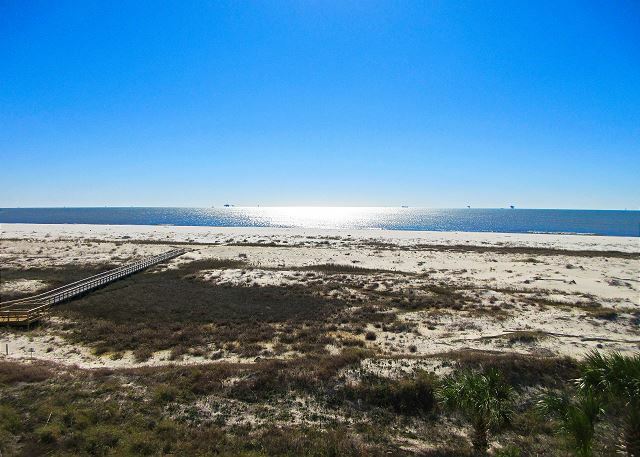 Location was on the beach overlooking bay and gulf. Very relaxing place to stay. We enjoyed our stay even with the rain. The views were spectacular. The condo was convenient to everything on the island. Many things on island to see especially if you love nature at its best. The view was perfect and the food in the general area was good. The beach was nice and clean.